American (#ESL) English Teacher that specializes in assisting students for improving their English proficiency and comprehension skills from beginners to advanced. Whether you are seeking to improve your English for business, conversation, academic, job interview preparation, or etc. I currently am available for in-person lessons in Seoul, South Korea as well as online. Please CONTACT ME today! This is list of English (ESL) materials, links, discussion topics, and more. This also includes my 'six pillars or Teaching Philisophy for learning English as a Second Language and how I am able to help you achieve your goals. I also specialize in (ESP), which is English with a Specific Purpose, by focusing on improving your English for real world situations, customized to YOUR needs. This is a continuous working compilation of links for Korean Adoptees (#KADs), parents of adopted children from South Korea, family members, friends, and those that are interested in international adoption that include a variety of links of various organizations and information. If you there is any organization that fits this category please EMAIL ME so that I can add it to this page. A Graduate of the University Colorado at Boulder (#CU-Boulder) that left behind a 12-year career in Broadcast Television to pursue my lifelong dream of traveling round the world (#RTW), my ongoing 3-year backpacking journey has allowed me to experience and gain an array of new professional skills and as I continue to explore new entrepreneurial options along the way please view my LinkedIn Profile. Throughout my career and travel experience, I have gained a specific set of professional skills, that I have chosen to share as both an internal and external freelance consultant. The purest definition of a consultant is "an expert or a professional in a specific field and has a wide knowledge of the subject matter." Since often times I am extremely limited by Internet or WiFi capabilities, please join me on my travels...through my photos via Instagram and my hashtag #TroyTravels. As the saying goes, a photo speaks a thousand words, well in that case I hope even this small window may inspire you in achieving your dreams. KOREAN to ENGLISH and ENGLISH to KOREAN Professional Translation Services. We are a team of freelance business professionals that consists of both Korean nationals and American business professionals. We offer a variety of translation services; documents and writing, verbal services, in-person business meetings, presentations, leisure travel services, and more. Please VIEW OUR PAGE and contact us with a detailed description for a quote today. Through my travel there are times that I come across wonderful charitable organizations, NGOs, even families that I would like to encourage people to support, whether that be financially or through donating your time or resources. This page is set up primarily for financial donations but also please view my links page for other organizations if you are interested in learning more about philanthropy. Some people are absolutely shocked to hear that I purchased my first home back in 2002, when I was only 20-years-old! 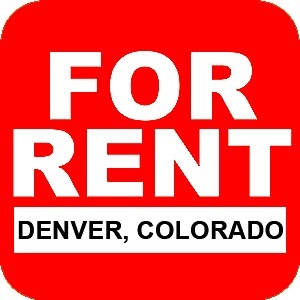 Often even I am amazed by this fact, and I cannot thank my current tenant that chose to sign a two-year lease when I first decided to leave the Denver, Colorado and the United States in 2012, but I was also blessed with the fact that the Colorado housing market has exploded and my tenant renewed her lease until March 2016. While, I am premature not my real estate purchases, but also in my future planning. I wanted to keep this listed just in case my wonderful current tenant decides to move out at the end what would be her four-year lease. I know that anyone that has experienced any type of international travel or living abroad understands that there is just something that gives you a much greater appreciation for both the United States and conveniences of things we might have taken for granted before! Well, as you can imagine, almost 4-years of continuous travel, there have been several items that are often very difficult or impossible to find.